At the last SHRM event in Chicago, the most popular vendor had to be Careerbuilder’s interactive booth. HR pros lined up like kids waiting for a Disneyland ride. Sure, we had to spin a wheel for a give-away, but what really held our attention was the video of a mobile experience that leverages AI, augmented reality, gamification and hyper-localized search to revolutionize recruiting. As a job seeker, imagine a mobile app that instantly builds your resume, applies to jobs for you, shows an augmented reality view of job openings at businesses as you walk by and helps you add skills needed for a better-paying job. As an employer, imagine a mobile app that shows you real-time supply and demand trends for talent you need, instantly builds your job descriptions, automatically matches your job openings to candidates who are more likely to respond and runs campaigns to engage them. CareerBuilder is making it a reality. AI can also eliminate unconscious bias by the hiring manager. Laura Berger, an expert practitioner on emotional intelligence claims “we all bring unconscious biases into the workplace; these deeply subconscious attitudes span race, gender, appearance, age, wealth, and much more.” Thus, if a diverse team works together to create their AI’s algorithm, it can vastly eliminate biases in their hiring. 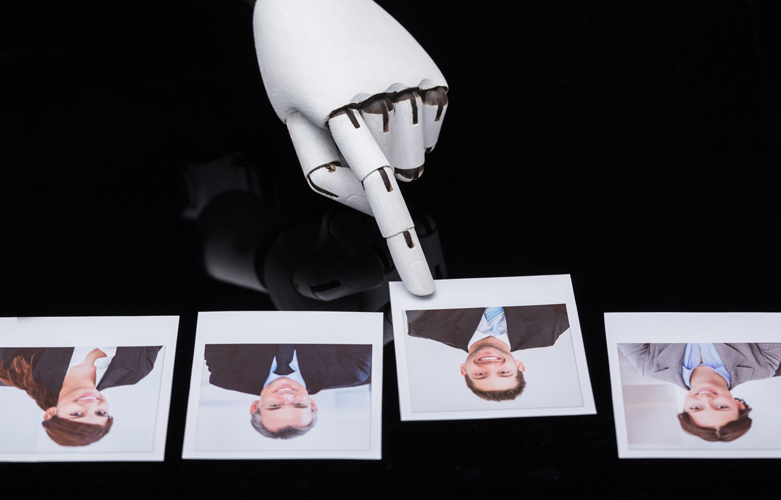 Properly programmed AI is immune to stereotypes that we know of today and will have relevant interview questions that solely focus on professional competency for each particular job. Textio Hire is an AI tool that can assist in writing job descriptions to attract a more diverse candidate pool while HireVue conducts job interviews in an unbiased way. This is only the beginning. As technology advances and AI gets smarter, there will be more apps, more HR Startups and more exciting things to come enabling companies to source, select and engage employees in their candidate and employee experiences befitting the modern workplace.